Kesar Mawa Peda | Indian Milk Fudge | Instant Khoya Peda Recipe Video. 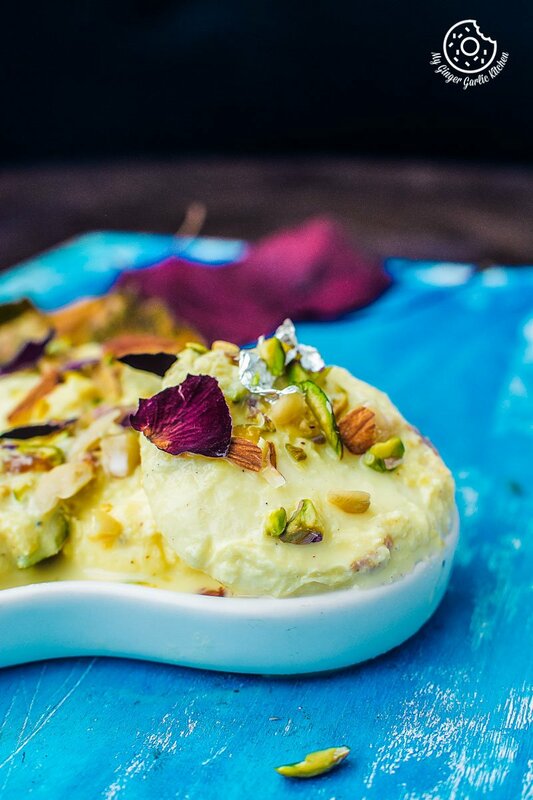 This is a classic Indian dessert which is usually made during festivals. This rich and buttery melt-in mouth fudge is also served as a ‘prasad’ in temples. 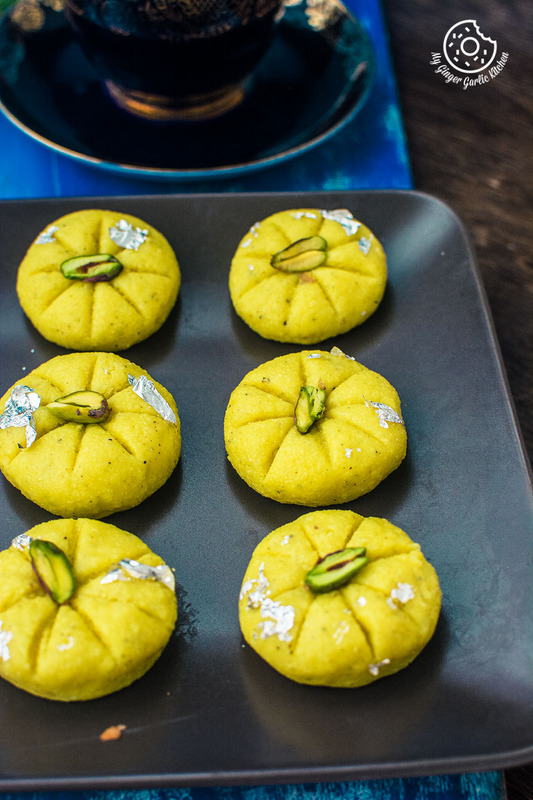 There are different varieties to peda depending upon their flavors. Is there any other way to celebrate the coming weekend other than something addictively sweet? I guess there are many ways, but for a sweet-toothed person, nothing can beat the mouth-watering sweet stuff. If you love sweets as much as I do, then you will surely understand me. Kesar Mawa Peda aka Indian Milk Fudge is simply the best. I know, I may have said this for many recipes earlier too, but today I just can’t help it. I will just have to say it again because it only takes 15-20 minutes from start to finish and you can gobble this fudge right away then. If you are planning to make it from scratch then it will take around 5 more minutes to make your own mawa in the microwave. But seriously, how could a fudge which contains thickened milk, cardamom, saffron and some ghee/butter not be the best? It is bound to taste incredibly delicious, and the good thing about this fudge is that just one of these can satisfy all your sweet cravings instantly. 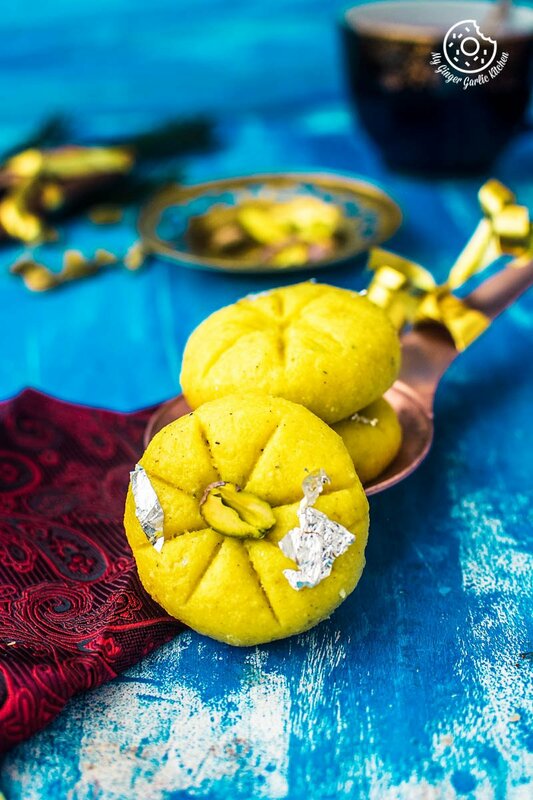 One kesar peda down and your sweet cravings vanish. My grandfather who lived till age 90, was a sweet-toothed person and he had to eat something sweet after dinner every day. So on some days when he couldn’t find any fancy desserts, he simply ate a piece of jaggery and he used to say that it was so satisfying. He was never diabetic, and he had all his teeth intact. I can tell you that he happily and healthily lived for 90 years, he was never bedridden. I was never sweet-toothed in my childhood, but now I am. And I crave for sweet stuff many times. After seeing the living proof as my Grandfather, I assume that eating little desserts every day is not a bad idea. We always have those digestive genes hidden in the body and they are not activated unless needed. So now I am never so hard on myself and little A for eating and craving sweet shiny things. Yeah, she is sweet-toothed too. She will do anything for you in an exchange of candy, chocolate, muffin or anything sweet. I can’t help but I want to get into the kitchen almost every weekend and bake/cook something sweet and healthy if I have some free time. So cheers to all sweet-toothed persons. 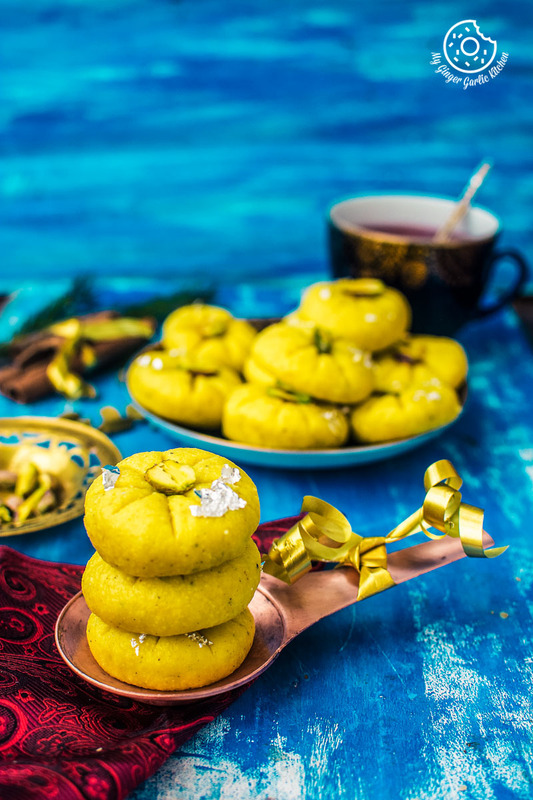 Coming back to the recipe, Kesar Mawa Peda is a classic Indian dessert which is usually made during festivals. They are also served as a ‘prasad’ in temples. 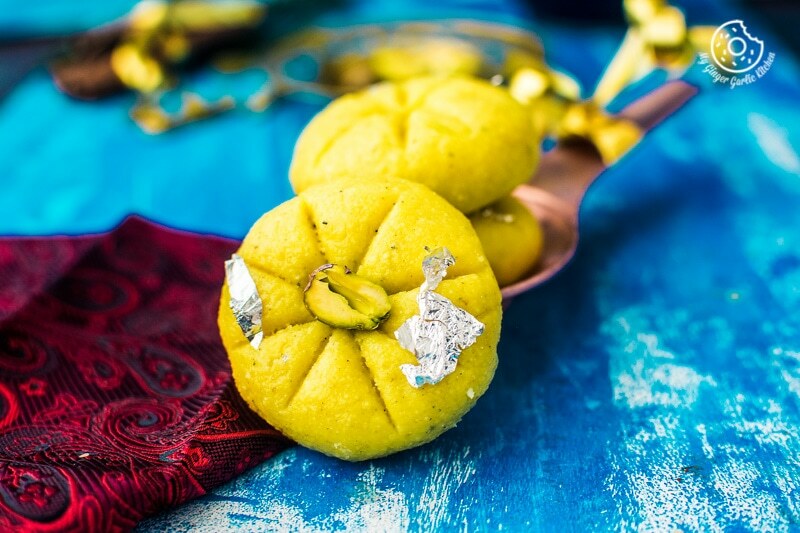 There are different varieties to peda depending upon their flavors. These melt-in mouth pedas are fuss-free. You only need a pan and a spatula for making these. 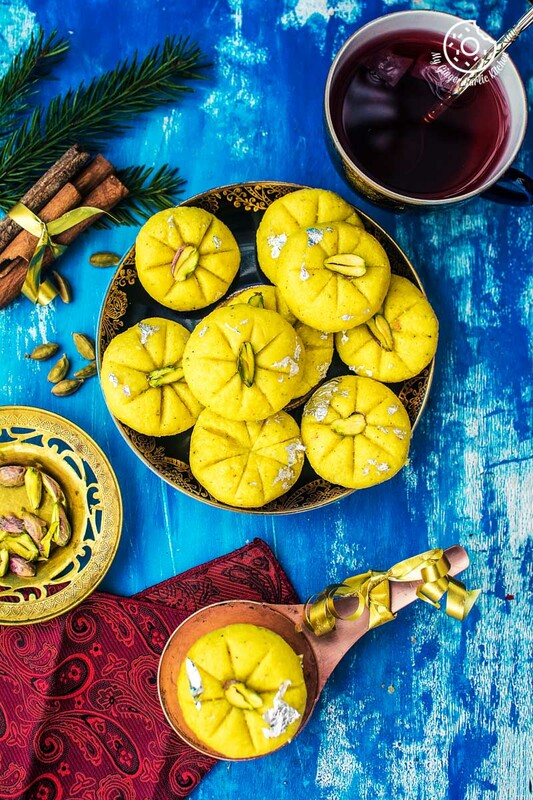 And you only need these few ingredients for these pedas — mawa, ghee, sugar, cardamom, and saffron. This is a charmingly easy recipe to make. 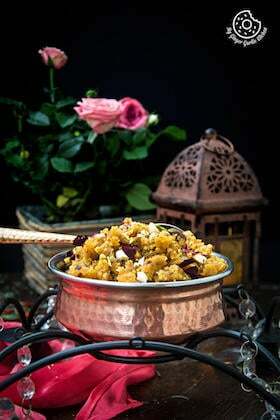 Traditionally this Indian dessert is made with mawa or khoya. There is another version of peda which is known as doodh peda or milk peda. 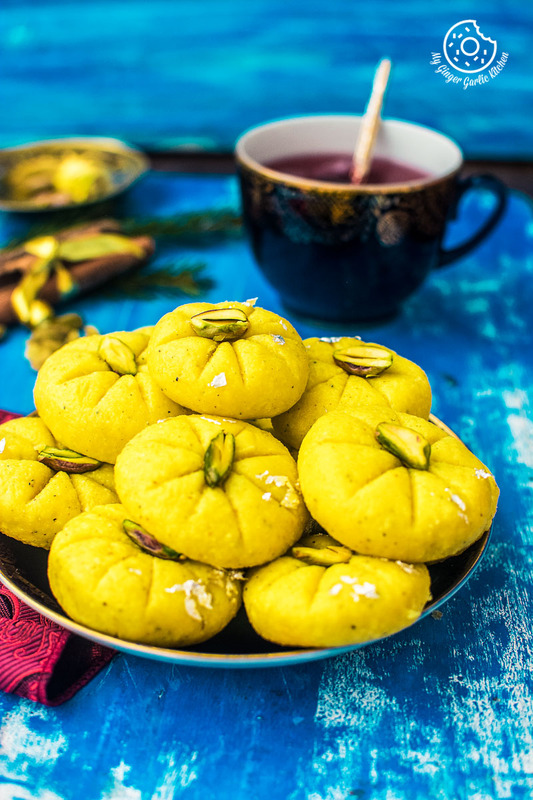 This Doodh Peda is prepared by using milk or milk powder. I will also share that recipe sometime. Add 2 tbsp milk to mawa/khoya if your khoya is too dry, this will ensure that your pedas would come out soft. Always grease your hand with ghee before shaping the peda, this way the dough won’t stick to your palms. Try to shape pedas when the dough is little warm, this would help in molding them easily. So don’t let the dough to cool down. You can store them in an airtight container at 22-25°C for 2 days. But if you want to store them longer then keep in the refrigerator and take them out 30 minutes before serving. They stay fresh in the refrigerator for up to 1 week. I decorated with pedas with edible silver leaves for drool-worthy aesthetics. This step is completely optional, you can skip it if you want. 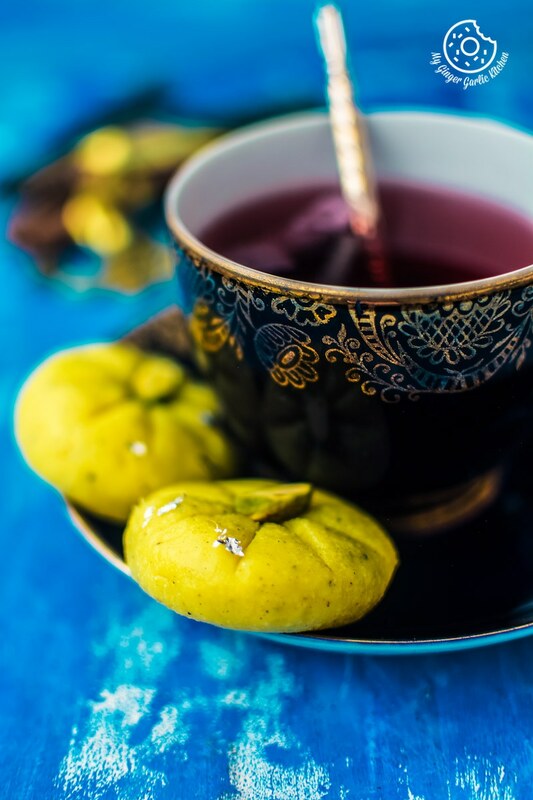 You can also add 1 tsp kewra water to it if you want to get an enhanced aromatic flavor. I didn’t want to diffuse the saffron flavor, so I avoided that. 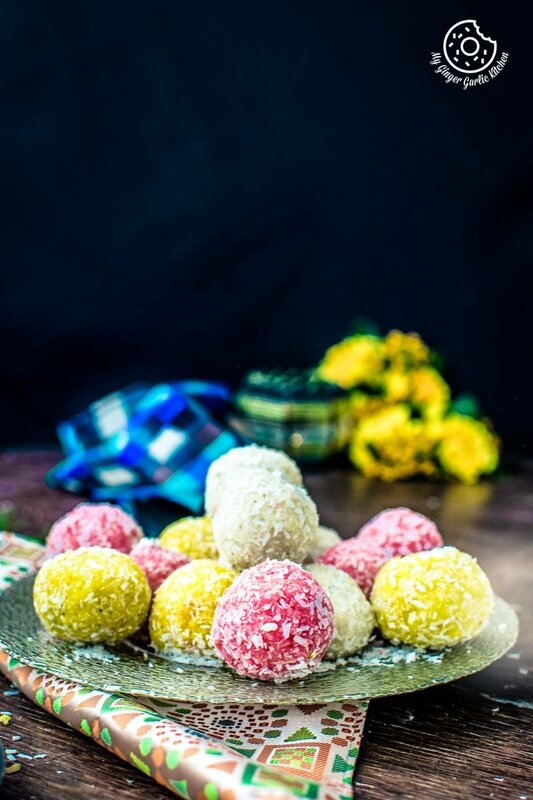 If you like this peda recipe, then I would request you to check out these other indian dessert/sweet/mithai recipes: Kesari Rice Kheer, Kopra Pak, Mohanthal, Moong Dal Halwa, Gulab Jamun, Kesar Elaichi Shrikhand, Rasmalai Recipe, Rasgulla, Kaju Katli, Ghevar, and more desserts. 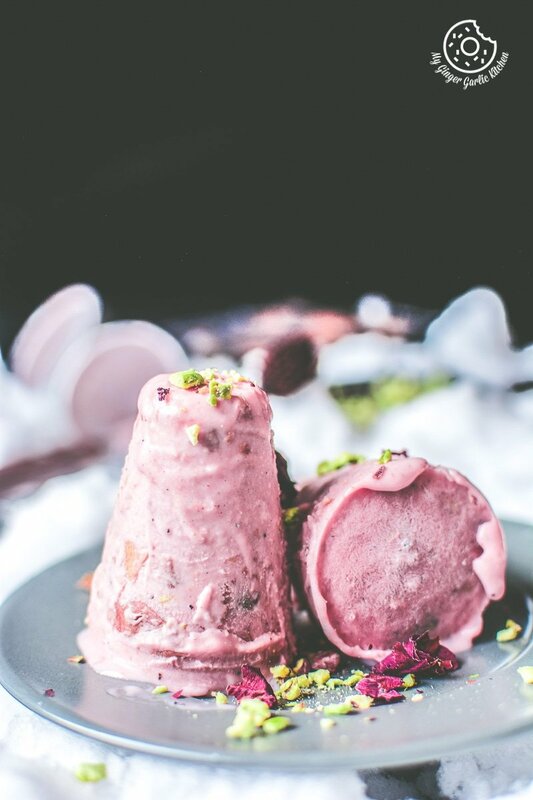 This is a classic Indian dessert which is usually made during festivals. This rich and buttery melt-in mouth fudge is also served as a ‘prasad’ in temples. 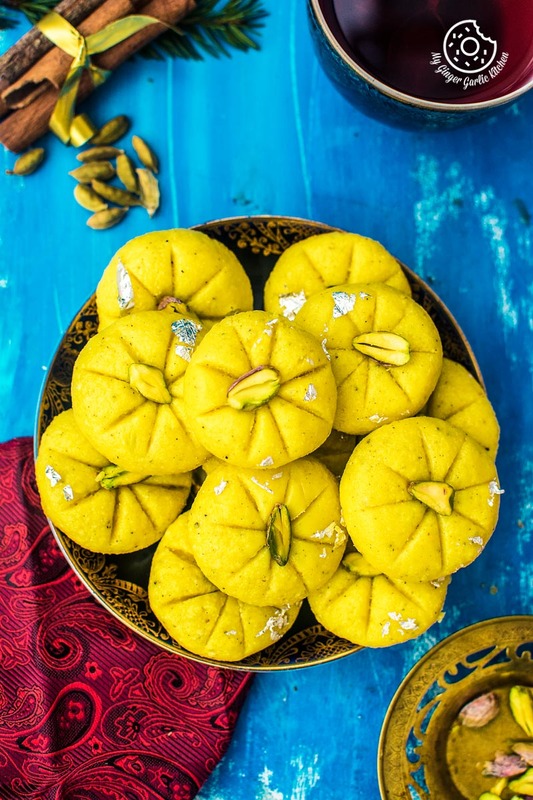 There are different varieties to peda depending upon their flavors. 1. Heat 1 tbsp ghee in a broad non-stick pan over medium heat. 2. Add crumbled mawa and cook on a medium heat for 3-4 minutes, while stirring continuously. 3. Add cardamom powder, saffron strands and mix well. 4. Cook on a medium heat for 3-4 minutes, while stirring continuously. 5. Remove from heat and let the mixture cool down for 2 minutes. 7. Divide into 16-18 equal portions and shape them into round balls. 8. 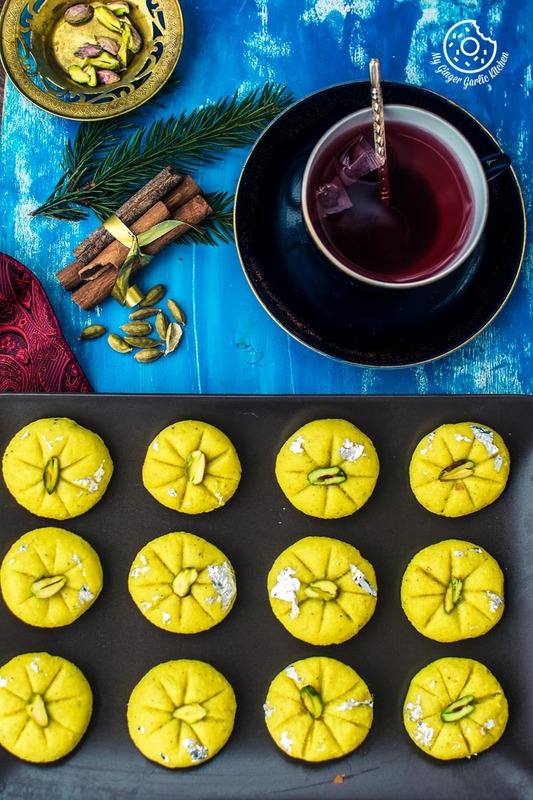 Flatten each ball slightly in between your palms and decorate with pistachio. 10. Store in an air-tight container and refrigerate it.